Home » New Pokies » iSoftBet launches Paranormal Activity, a spine chilling experience! iSoftBet launches Paranormal Activity, a spine chilling experience! iSoftBet has just released a brand new video pokie game on the market called Paranormal Activity. As you may already notice the name of the game comes from the world famous horror movie Paranormal Activity. It’s no surprise that the animations and game symbols are almost identical to the ones from the movie. iSoftBet did a great job with the visual effects of the game by using state of the art animations and installing a spine chilling background music. The game follows a traditional design with 5 reels and 3 rows, but instead of the classic pay lines there are 243 ways to win. This was a bit of a surprise to us as this provider doesn’t have too many 243 ways to win pokie games. The bet levels can vary anywhere from the $0.30 minimum up to the maximum of $30 per spin. As in most of their games iSoftBet made sure to make the game play dynamic and interesting by installing a great set of bonus features. This way players will never get bored while spinning the reels on Paranormal Activity. As big fans of horror movies we have to say we love the game theme. We loved the original movie and we are happy to see that most of the symbols are as original as possible. The effects are perfect and we love the way the random Static Paranormal Event feature is triggered. This is a great little random feature where players can win up to 5 random wilds anywhere across the reels. If you are lucky to win one wild on each reel you are guaranteed to see a big win on the screen. We also love the bonus features. 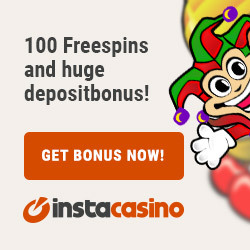 Each one is great and you will either win one of the free spins features or an instant cash prize once the Bonus Wheel is spun. We like the 5 sure win free spins with an increasing multiplier but the Possessed and Demon free spins are much more attractive. We like the fact that the wilds can come stacked during the Possessed free spins, but we love the Demon Wilds in the Demon Free Spins feature. This way you can end up with several extra wilds on the screen during any of the 15 free spins. The only detail that we can say we don’t like in this game is the symbols payout. The payouts are generally small ranging up to 750 coins for 5 scatters on the reels and 500 coins for the highest paying symbol. 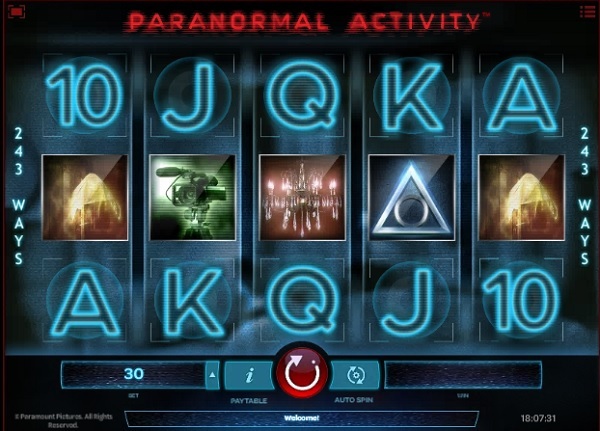 In our opinion yes Paranormal Activity is a video pokie game which is worth playing. The visual effects in the game are great and if you’re a horror fan you will definitely enjoy spinning the reels on Paranormal Activity. The generally weak pay table is compensated by the added wild functions during the bonus features and the 243 ways to win. Big payouts of over 500 x total bet can be easily achieved during the bonus rounds and in our book that’s a win worth chasing. Join Tarzan on his adventures in the latest Microgaming pokie! See the epic battles in the latest Microgaming pokie! Enjoy as the Wild Toro chases the Matador across the reels! Witness the epic medieval battles in Warlords: Crystals of Power!